You are currently browsing the archive for the Design category. By Dr Alison Black, Research Professor, Centre for Information Design Research. As January gives way to February, many UK tax payers sigh with relief as they submit their tax returns, often uncertain that they have provided the information HMRC require or have filled out their forms correctly. Filling out forms is just one of many everyday interactions with information, as is using signs to reach a destination, or following written instructions or diagrams. Good information design ensures that people find such things easy to use. 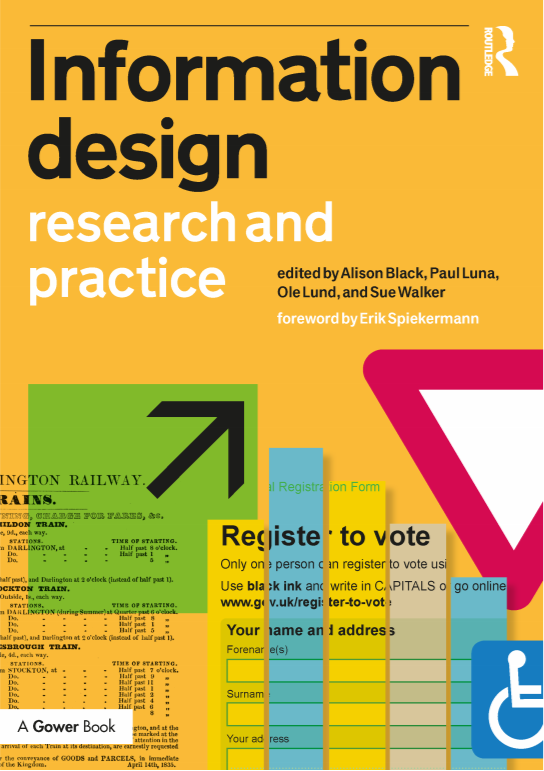 At the University of Reading, the Department of Typography & Graphic Communication has pioneered research and teaching in information design – a discipline that brings together graphic design, psychology, and linguistics to work together with specialists, for example in health, meteorology and law, who need to communicate information to non-specialist decision makers and the public. 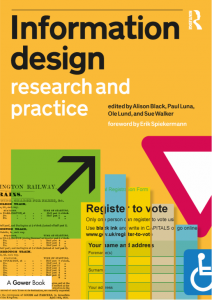 This evening Reading’s Centre for Information Design Research (CIDR) is joining parliamentarians and researchers and practitioners in information design to celebrate its recent, edited book Information Design Research and Practice (Routledge 2017). In an event hosted by University of Reading’s Chancellor, the Rt Hon. the Lord Waldegrave of North Hill, and organised with the All Parliamentary Design and Innovation Group, guests will discuss how information design can be used to support people when contexts are complex and decisions are important for their safety, well-being and opportunity. CIDR’s research projects touch just these kinds of areas, from current AHRC-funded research on public communication about anti-microbial resistance, and projects with Reading’s meteorologists, funded by NERC and DfID, on the best way to communicate weather forecasts, to work with the National Offender Management Service on tools to reduce violence by improving communication between prisoners and officers. The UK leads the way in many aspects of public information provision, including its award-winning gov.uk website, but there is still a long way to go in communicating effectively in many aspects of people’s lives. Professor Rick Poynor reflects on a new exhibition of National Theatre posters and what they tell us about changing approaches to graphic design from mid-century to the modern day. 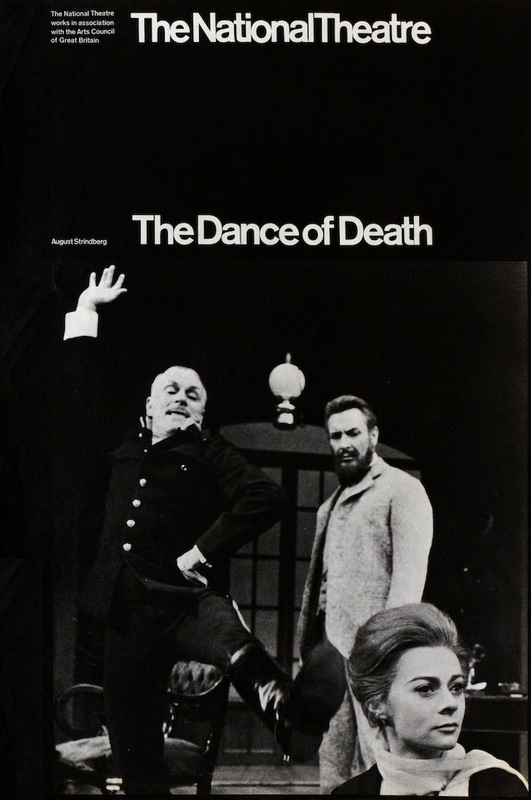 The exhibition of National Theatre posters I have curated for the theatre’s Wolfson Gallery spans more than five decades. Since the theatre’s founding in 1963, the posters’ design has been the responsibility of just five people, allowing for an exceptional degree of continuity. This makes the theatre’s output a particularly revealing case study. The posters are not only a record of how an institution central to British cultural life visualised the role of design, but they also provide an insight into changing approaches to graphic design over the decades.